artist from Nigeria and accordingly to sources he is also one of the richest artist in Nigeria. international shows and collaborations with popular celebrities that are known worldwide. This post contains information about the current net worth of Wizkid and some of the quick facts about him that you probably never knew,now let's get started. 1. Wizkid is the CEO and owner of StarBoy record label,his label has a partnership with "Disturbing London",under his label are talented musicians and record producers such as Maleek Berry.Wizkid founded his company in 2013 after an undisclosed dispute with former boss, Banky W.
2. Wizkid has also bagged up a lot of endorsement that is valued at millions of Naira such as Pepsi,Glo Etc. 3. Sources has also revealed that Wizkid is among the elite musicians that charge up to 1 million Naira for a show. His style of music can be discribed as a fusion of Afrobeat ,Afropop,reggae,dancehall and hiphop all in one. He was also listed by forbes as being among the Top 10 Bankable and richest African artists in 2017. 4. 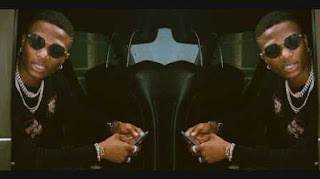 Ayodeji Ibrahim Balogun named himself Wizkid at the beginning of his career.He was born on 16 July 1990 in Surulere,he began singing at the age of 11 in local churches.He was a vocalist and also was a choir member,he also wrote songs for bigger artists before he became a star. Accoroding to him Naeto C was one of the people that he looked up to coached him,some of the songs he assisted in writing was Banky W's "Omoge You Too Much", a song off The W Experience album. 5. Ayodeji Ibrahim Balogun was once a member of a gospel singing group called "Glorious five" which he formed,he later left the group and went solo under the guidance of Banky W.
6. He has also fathered some children out of wedlock,as he is not yet married. 7. Wizkid has had a much publicized beef with fellow musician Davido whiich some people believe that it's fueled by the Nigerian media and also their fans on different social media platforms. 8. Wizkid has released a couple of impressive Albums such as 'Ayo' 'Superstar' 'Sounds from the Other Side' Etc,he has also produced and featured in over 50 songs,some of his popular songs include "Holla at Your Boy" ''Tease Me/Bad Guys", "Don't Dull", "Love My Baby" "Pakurumo" Etc. 9. After becoming famous when he was with EME music,upon expiration of his record contract,he went ahead to form his own record label which is also affiliated with RCA and Disturbing London.Some of the celebrities affiliated with Wizkid’s Starboy records include Maleek Berry,LAX, Mutayo Flif,Efya,R2bees,Mr Eazi Etc. "One Dance",Wizkid was also the first ever Nigerian musician to have over 1 million followers on Twitter. 11. Wizkid couldn't juggle music and academics despite several attempts to combine the both,he eventually dropped out of Lagos State University (LASU),he also tried once more again by enrolling into a private university called Lead City University, but he also dropped out after completing two sessions. 12. He earned a Grammy nomination for his work in Drake's 'One Dance' song,but he lost out,apart from the Grammy's he has won some other high profile international awards such as the BET Award,Billboard Music Awards,MOBO Awards,and other awards like The Headies Awards,SoundCity MVP Awards Etc. Q: Wizkid's Current Net Worth? Apart from album sales and concerts,Wizkid also make money from the booking of his artistes affiliated to his Star Boy label,Wizkid also owns a G wagon,a Bentley,a Porsch and some other cars,he is estimated to have a net worth of ₦ 360,000,000 - ₦ 400,000,000 Million Naira ($1 - $1.1 Millon Dollars).